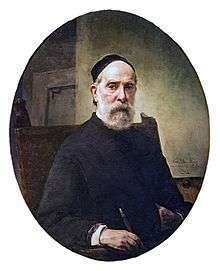 Francesco Hayez (Italian: [franˈtʃesko ˈaːjets]; 10 February 1791 – 21 December 1882) was an Italian painter, the leading artist of Romanticism in mid-19th-century Milan, renowned for his grand historical paintings, political allegories and exceptionally fine portraits. 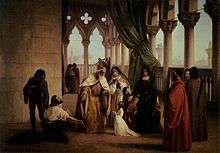 Hayez came from a relatively poor family from Venice. His father, Giovanni, was of French origin while his mother, Chiara Torcella, was from Murano. 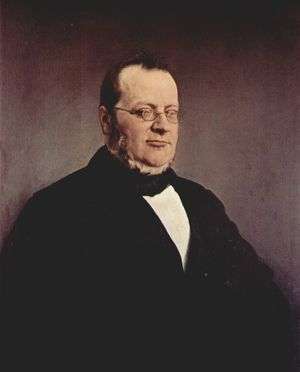 The child Francesco, youngest of five sons, was brought up by his mother's sister, who had married Giovanni Binasco, a well-off shipowner and collector of art. From childhood he showed a predisposition for drawing, so his uncle apprenticed him to an art restorer. Later he became a student of the painter Francesco Maggiotto with whom he continued his studies for three years. 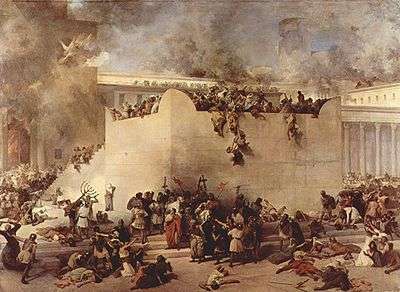 He was admitted to the painting course of the New Academy of Fine Arts in 1806, where he studied under Teodoro Matteini. In 1809 he won a competition from the Academy of Venice for one year of study at the Accademia di San Luca in Rome. 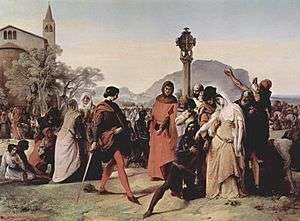 He remained in Rome until 1814, then moved to Naples where he was commissioned by Joachim Murat to paint a major work depicting Ulysses at the court of Alcinous. 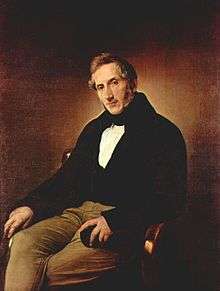 In the mid-1830s he attended the "Salotto Maffei" salon in Milan, hosted by Clara Maffei (whose portrait Hayez painted for her husband), and he was still in Milan in 1850 when he was appointed director of the Academy of Brera there. 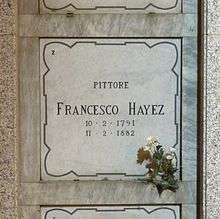 Francesco Hayez lived long and was prolific. His output spanned both historic paintings, including those that would have appealed to the patriotic sensibility of his patrons. Others reflect the desire to accompany a Neoclassic style to grand themes, either from biblical or classical literature. 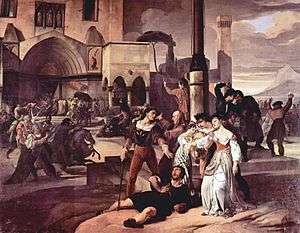 He also painted scenes from theatrical presentations of his day. Conspicuously lacking from his output, however, are altarpieces intended for devotional display. However, after the Napoleonic invasions deconsecrated many churches and convents in Northern Italy, the region was not lacking for religious artworks that were removed either to museums or concentrated in the remaining active religious institutions. Corrado Ricci describes him as starting as a classicist but then evolving to a style of emotional tumult. 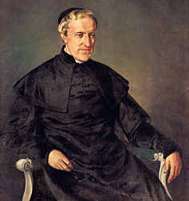 His portraits have the intensity seen with Ingres and the Nazarene movement. 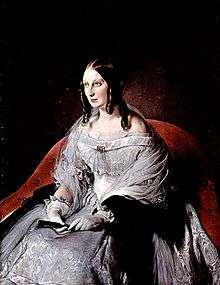 Often sitting, the subjects dress in austere, often black and white clothing, with little to no accoutrements. 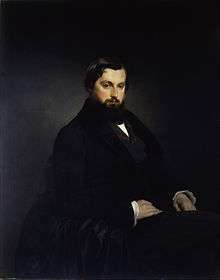 While he did complete portraits for the nobility, other subjects are artists and musicians. Late in his career, he is known to have worked using photographs. One of his favorite themes was a semi-clothed female. 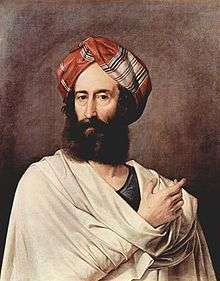 Often they were, like his Odalisque, evocative of oriental themes, which had been a favorite topic of Romantic painters. The depictions of harems and their women allowed them the ability to paint scenes not acceptable in their society. Even his Mary Magdalene has more sensuality than religious fervor. 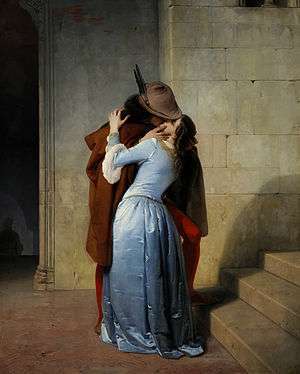 Among his works, his painting The Kiss was considered among his best work by contemporaries, and has only gained in esteem since then. The anonymous, unaffected gesture of the couple does not require knowledge of myth or literature to interpret, and appeals to a modern gaze. 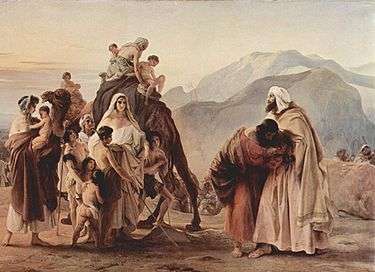 Assessment of the career of Hayez is complicated by the fact that he often did not sign or date his works. Often the date indicated from the evidence is that at which the work was acquired or sold, not of its creation. Moreover, he often painted the same compositions several times with minimal variations, or even with no variation. 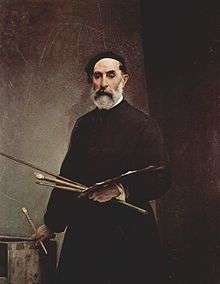 Among his pupils from the Academy were Angelo Pietrasanta, Carlo Belgioioso, Amanzio Cattaneo, Angelo Pietrasanta, Alessandro Focosi, Francesco Valaperta, Ismaele Teglio Milla, Antonio Tavella, Giovanni Lamperti, Antonio Silo and Livo Pecora. 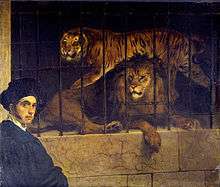 ↑ Angelo Pietrasanta: un protagonista della pittura lombarda, by Laura Putti, Sergio Rebora, editor Silvana, 2009. Delle arti del designo e degli artisti nelle provincie di Lombardia dal 1777-1862 by Antonio Caini (1862). Presso Luigi di Giacomo Pirola, Milan. Page 61.